With Pokemon GO celebrating its first anniversary, The Verge spoke with Niantic CEO John Hanke. Hanke weighed in on the state of the game, how the initial success meant the team had to focus on making the game stable instead of working on features, and much more. Read some comments from Hanke below. The full interview is located here. Well, it’s been a great year. We feel incredibly grateful for everything that’s happened. We’ve gotten ourselves into a position where we’re able to put a lot more resources onto the team over the past year. We were careful in hiring people, so we ramped up over the course of the year. But we’re finally seeing the fruits of that in the gyms and raids release, which gets to things that are near and dear to our heart, like cooperative social gameplay, things that pull people together outside. So we’re really happy with the initial phase of that release. We’re super excited about how that’s going to interact with the events we have lined up for the duration of the summer in Chicago, and Yokohama, and Europe. It’s been great to get that release out there and fix some aspects of gyms that were bugging us, that we didn’t really like but had to leave things when we shipped the product. But we’re pretty happy with the release in June, and glad to see a positive response. It seems to have really energized the playerbase. And I think it will do even more so in June and July, as the events part of that kicks in. We lost probably six months on our schedule because of the success of the game. Really all the way through November and December, from launch onward we were rebuilding and rewiring infrastructure just to keep the game running at the scale that we were running at. We were fortunate to have a massive launch, a massive success, and many, many more users than we had planned for. But we had to redirect a substantial portion of the engineering team to [work on] infrastructure versus new features. That switched off things like extending gyms, it pushed out things we still want to have, like player-versus-player and trading. I’d say we’re about six months behind where we thought we would be. On the other hand, we did Pokémon Go Plus, which was something we took on kind of late in the cycle. But it was fun to get that experience with a hardware add-on. 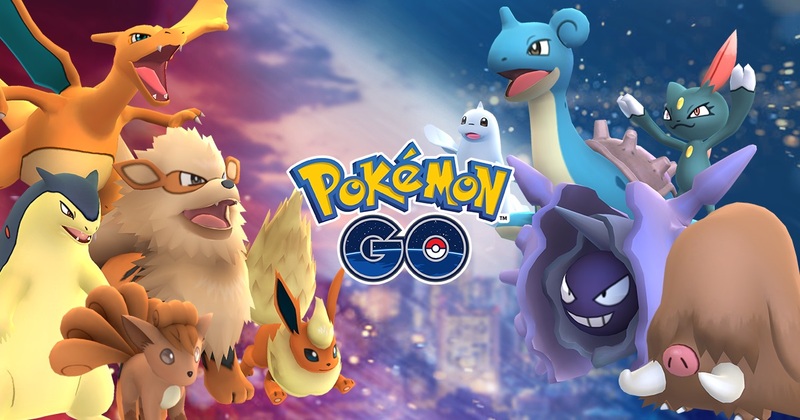 We [added generation two pokémon], we’ve staffed up our live operations team, and I think players have really enjoyed the events we’ve been able to do. There are some things we did that we weren’t necessarily planning, and others we haven’t quite gotten to yet. Well, had we not had to divert resources to infrastructure versus features, I think we would’ve had some of those things out earlier. I don’t know. If we had of known we were going to have those delays, maybe we wouldn’t have talked so much about them. Although, it’s important to let people know that you’re thinking about certain things, and that you are building toward them, even if they’re not immediately available. I think early on, between ourselves and The Pokémon Company and Nintendo, there wasn’t a real consensus about how to communicate with players on forums like Reddit, Twitter, and other social media platforms. With our previous game Ingress we were very communicative with players, and very open. And we weren’t as communicative and open in the beginning [of Pokémon Go] because that was sort of a new process for our partners. I think we’ve become much more open over time, and that’s really helped make the community happier, by us being present and talking more about what’s going on. There are features that weren’t on the original road map that really grew out of that feedback and back-and-forth with players. The gym badges, the way that whole system works, that’s something that grew out of the dialogue with players. The changes we made to combat in gyms — there are more coming, but the ones that we shipped this month were based on just watching how the mechanics around gyms played out. It ended up being heavily weighted toward the upper 1 percent of users, so gyms had become something that weren’t really accessible to low-level players, and weren’t very dynamic in terms of there being turnover and opportunities for people to have a chance to have a pokémon in a gym.